340B audits are here. Are you ready? Ramsell 340B offers a complete turnkey solution and in-depth expertise designed to ensure that your Covered Entity is audit ready and compliant. 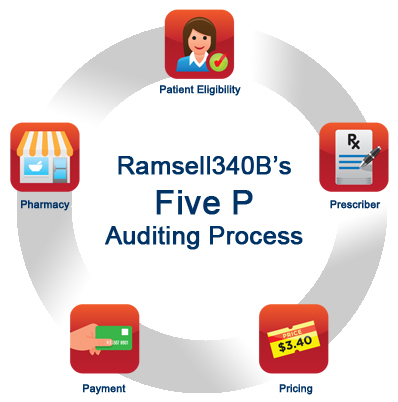 Ramsell accomplishes this by performing a thorough analysis of your claims data matched to 340B pricing from the manufacturer to ensure compliance with HRSA regulations and by applying our "Five P" approach for audit accuracy. Put your cursor over the icons to learn more about that application.